The Board of Veteran CEOs: Should Leaders Send Themselves to the Timeout Room? 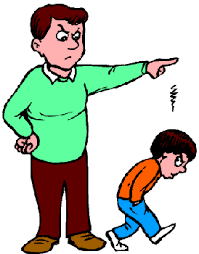 Should Leaders Send Themselves to the Timeout Room? overwhelmed. Or the next move in a deal or career may require adjustments to reach your desired goal. Therefore, you may need a time out or time to contemplate your next move. In an age of information overwhelm, it is easy to be bombarded with crises, to-do lists and trivial sound bites that distract you from long-term objectives. You are told the importance of a social media presence as well as the value to know what is happening in the world in real time. While this information mayhem has some of you twirling in a frenzy, life goes on. It is as though your life is a train that has left the station. The question is: are you on that train? Or are multitasking with information, personal aspirations and professional ambitions that consume you and cause you to miss your own life. If you miss out on your life, that could lead you down a path of disappointment or depression. With the latest news of Anthony Bourdain, a successful career cannot give you immunity to depression. With that said, no matter your age or profession, it is valuable to send yourself into timeout. Whether you meditate, walk in nature or sit in silence, a timeout is a personal moment to contemplate where you are in life and what your next move will be. Even CEOs face the need for contemplation. I have the privilege of spending time with a number of current and former CEOs of Fortune 500s. One of the questions the retired CEOs asks current CEOs is: how often do you take time to contemplate? The retired CEOs believe it is essential for any CEO to set aside time to think about the business of the business. That is a time to develop or enhance an understanding of the company and the people in it, products or services, clients and the career and decision making process the CEO has made up to now. It is also the time to think about the future of the industry and clients. Without time to clear your head, CEOs can find themselves working like a gerbil on a spinning wheel. To avoid that, they carve out time to do nothing. In older movies, you would see a CEO in his office hitting a golf ball into a cup. This scene made many believe the job of a CEO was easy. 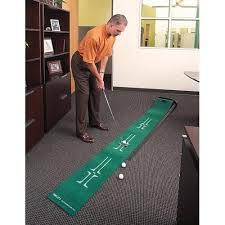 However, that CEO was working while hitting that golf ball. That was his time to contemplate. If you think about it, everyone is the CEO of his or her own life. Therefore, it is your responsibility to ensure that the life you live is aligned with the life you want. Similar questions that CEOs contemplate are relevant to everyone. As you contemplate your life, ask yourself: what kind of life do I want to live? What do I stand for? What am I committed to accomplishing? Who are the people in my support system? How do I support, bring value, others? Are my actions a correlate of my stand and commitment? Or am I living for the moment? Having all the answers in one sitting is not as valuable as asking the questions and aligning your actions. Sometimes the inquiry is more valuable than the answer. It’s your life and your journey. Take a time out, be creative and enjoy it. What do you think? I would love to hear your feedback. And I’m open to ideas. Or if you want to write me about a specific topic, let me know. Will Courage Make You a Great Leader?